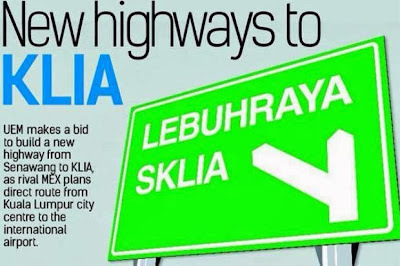 UEM group submitted plan to build Paroi-Senawang-KLIA-Salak Tinggi (SKLIA) highway. PETALING JAYA: UEM Group Bhd, which owns a 51% stake in toll concessionairePLUS Malaysia Bhd, has submitted a plan to the Government to build a new 45km highway connecting Senawang and the KL International Airport (KLIA) in Sepang, offering road users coming from the south a direct link to the airport that bypassed the often congested stretch between Seremban and Nilai on the North-South Expressway (NSE). A file picture shows a section of LEKAS highway. UEM has proposed the construction of a 6km direct link from the Paroi exit on the highway to the Senawang interchange. Stretching from Kajang Selatan to Paroi, the LEKAS highway was opened in 2008. 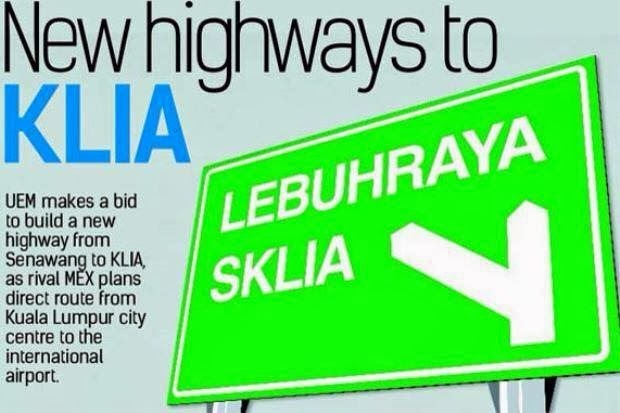 It is 50% owned by IJM Corp Bhd, which had a few years back made a proposal to extend the 44km highway from Paroi to Senawang. PLUS is the concession holder for the NSE, NSE Central Link (ELITE), North Klang Valley Expressway (NKVE), as well as the Seremban-Port Dickson Highway. TheEmployees Provident Fund (EPF) owns the remaining 49% stake in the concessionaire.